Advanced 3D Printing | Prototyping | Met-L-Flo Inc.
At Met-L-Flo Inc., we have been providing advanced 3D printing services for over 25 years. 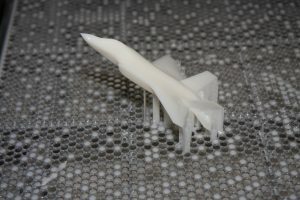 We are experienced and have the capabilities to produce unique 3D prototypes that match your vision. Our advanced 3D printing services allow for improving on your digital design and to make additions to the prototype itself. Our 3D printing methods give us the ability to print and export multiple iterations of your design for testing and development. If you have any questions about our 3D printing services in Chicago or if you would like more information about our prototyping services, call us today at 1-800-MET-L-FLO. You can also fill out the contact form on the right and one of our knowledgeable associates will return your inquiry shortly. With our 3D printing services, we are able to scan, model, and refine a digital model from an existing part and make any adjustments needed to turn your idea into a something you can hold. We have a wide variety of materials available that can be designated based on the specifications of the part and materials. Our advanced 3D printing methods allow for negative space which can be used as additional parts such as open spaces for plumbing and threading for fastening or attachments. Here at Met-L-Flo Inc., we provide consulting services for product design, engineering, and inspection and metrology. If you are unsure of what your next step is or what materials would work best for your design we can assist by making recommendations based on the application and the stage of your product’s development. For more information on our advanced 3D printing services, call the 3D printing experts at Met-L-Flo today at 1-800-MET-L-FLO. Or you can simply fill out the contact form on the right and one of our representatives will respond shortly.